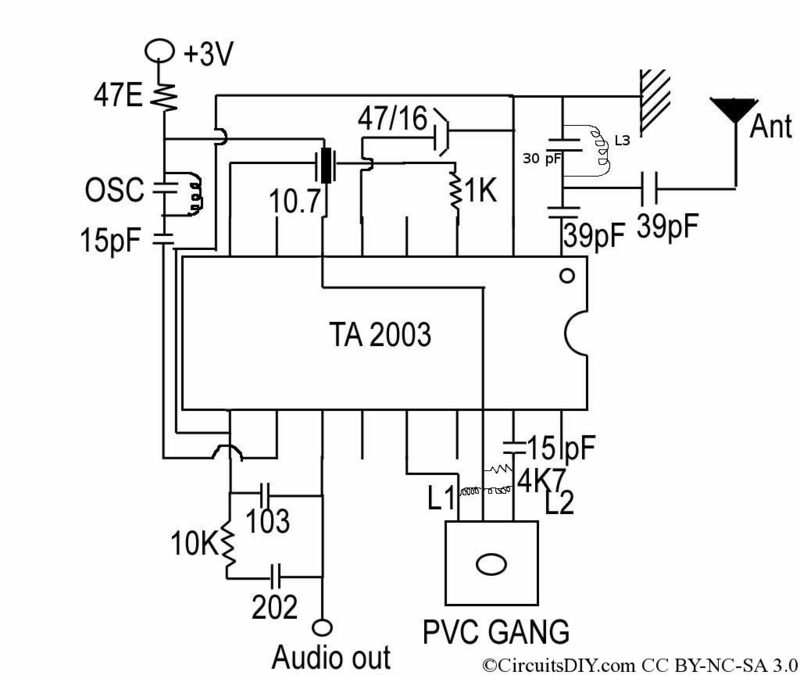 The TA2003P is a highly integrated AM/FM radio receiver IC, very close to CD2003GP. 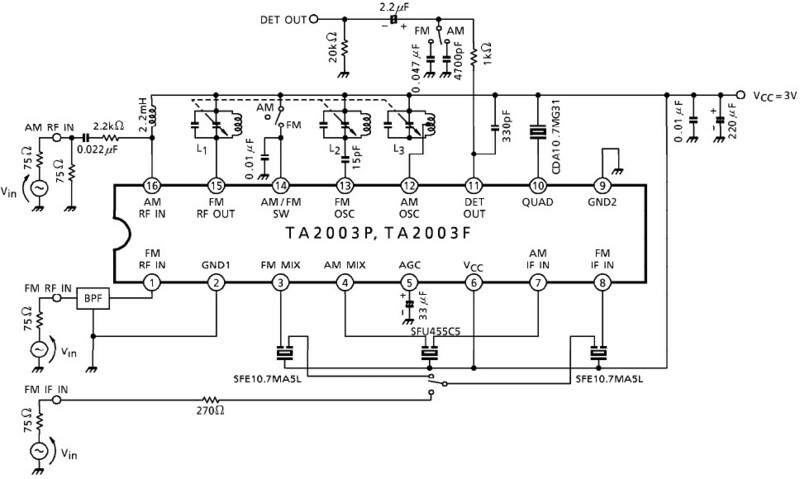 You can find TA2003P datasheet, pinout and other details here. This IC is available in DIP16 or SOP16 packages, pictures below. Below the pinout of the FM/AM receiver IC, collected from the datasheet. You can find the datasheet from the link below. 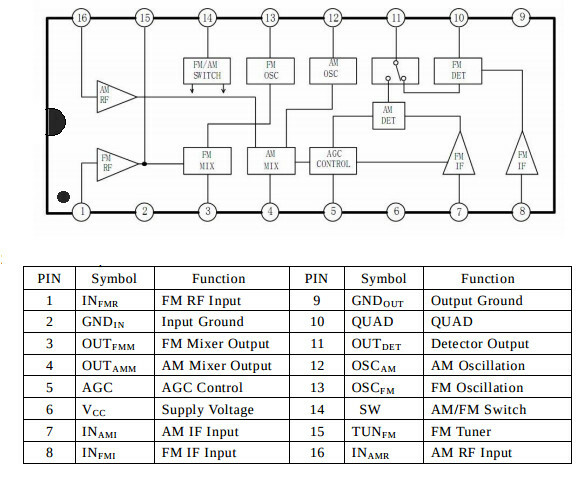 Here you can find a complete project on this IC, simple FM receiver circuit with TA2003P. This project requires just few external parts and it can can be operated from a 3 volt power supply. There are few reference circuit provided in the datasheet, I’m posting some of them. A tested FM receiver circuit. You can find more about the above circuit in the previous link. Now a dual band AM and FM receiver circuit, as described by the datasheet, tuned via a ganged condenser. Use the circuit above to check a fm transmitter circuit, like in the link. Taking things to a new level I am building some Steampunk TRF Radios; Antique/Vintage Components, Variometers Variocouplers Variable Condenser/Coil Assemblies with modern electronics.